Dr. He's neurological stem cell research focuses on the regenerative ability of mature neurons, specifically those of the optic nerve and spinal cord, and their ability to recover from injury. His recent work on the central nervous system (which he would continue at UCB) targets the nerve projections that carry signals up and down the spine. 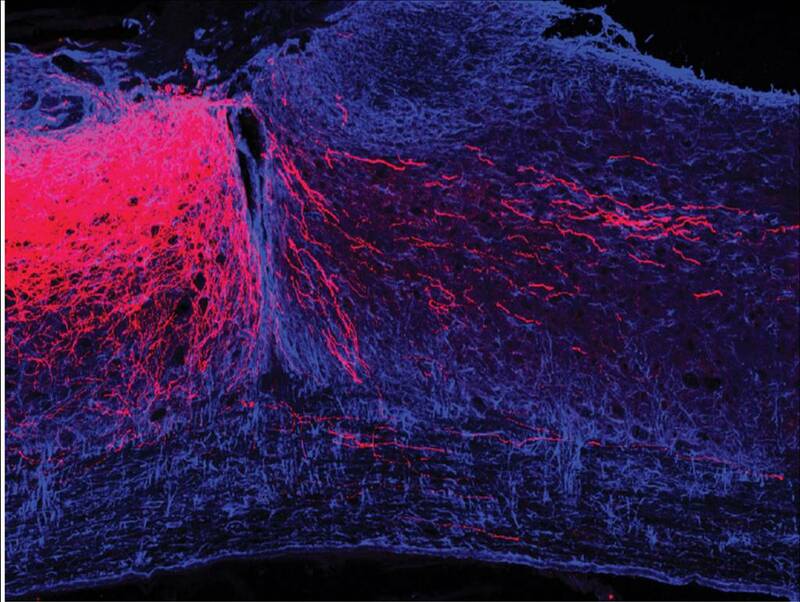 These projections, called axons, can be damaged during a spinal cord injury, preventing them from carrying signals. The object of Dr. He's research is to develop stem cell technologies to bridge the site of the injury and restore neural transmission function. Dr. He has lived in the San Francisco Bay Area once before, when he was a postdoctoral fellow with Marc Tessier-Lavigne at UC San Francisco. Dr. He has already in his young career been named a Klingenstein Fellow in Neuroscience, a John Merck Scholar and a McKnight Scholar. The CIRM funding for recruitment of a prominent researcher falls under the CIRM's Research Leadership Award program. If Dr. He accepts Berkeley's offer for the position, he will become the third such recipient of the award. The first, in April 2010, was Dr. Robert Wechsler-Reya, who received a $5.9M award to move his stem cell research lab from Duke University to the Sanford-Burnham Medical Research Institute at UC San Diego. The second was Dr. Peter Coffey from England, who was given a $4.8M award in October 2010 to pursue his research at UC Santa Barbara.